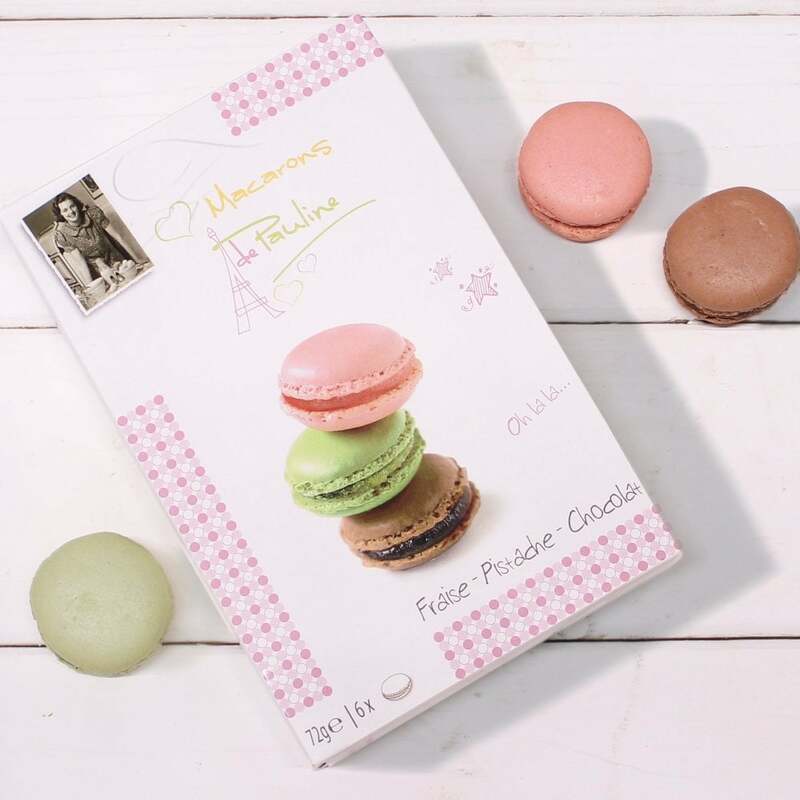 Delightfully tasty macarons presented in a gift box including chocolate, pistachio and strawberry flavours. Soft and light with a slight crisp and a little bit of chew, a delicious treat. Sugar, Marzipan (Sugar, Almonds, Glucose, Stabiliser (Glycerol), Bitter Almonds, Stabiliser (Sorbitol)), Almond Powder, Egg White, Maltodextrin, Water, Stabiliser (Glycerol), Chocolate Powder (Milk) (Sugar, Cocoa Mass, Cocoa Powder, Natural Flavouring (Vanilla)), Pistachio Powder, Stabiliser (Sorbitol), Rapeseed Oil, Preservative (Sorbic Acid), Glucose Powder, Natural Colours (Titanium Dioxide, Carmine Red, Cuchlorophyllin, Beta-carotene); Cocoa Powder, Acidulant (Citric Acid), Strawberry Concentrate, Flavours: Strawberry, Chocolate, Fleur De Sel. Bought to give as a gift so not tasted. Beautifully packaged so great to give to others. Lovely little box of assorted flavours. Used these to decorate a birthday cake and they went down well. These Macarons look scrumptious and as they are going to go in a hamper I'm making for friends; they will add that touch of luxury. Lovely unique gift and a reasonable price. Will definitely purchase more products from you in the future!